See our advertisements as they appear in industry publications that serve Dynomax Inc.’s various marketplaces. From Engineering Design to Finished Assembly, We’ve Got You Covered. Need Vertical Integration? 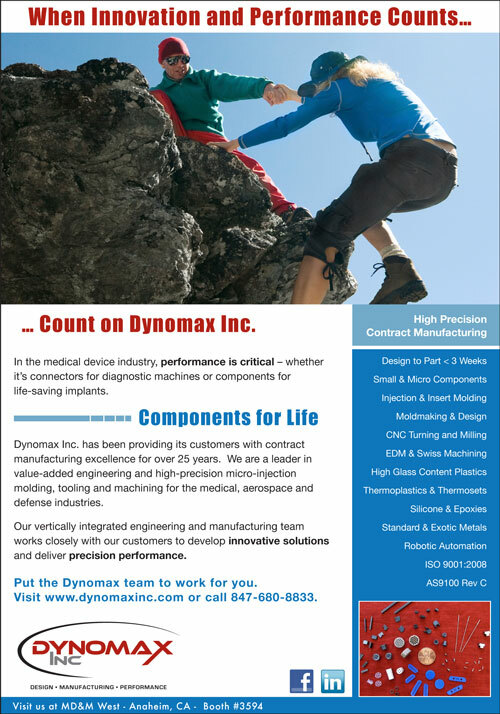 Dynomax Inc. is a leader in value-added engineering and high-precision machining, injection molding and tooling for the aerospace, defense, medical, energy and transportation industries. 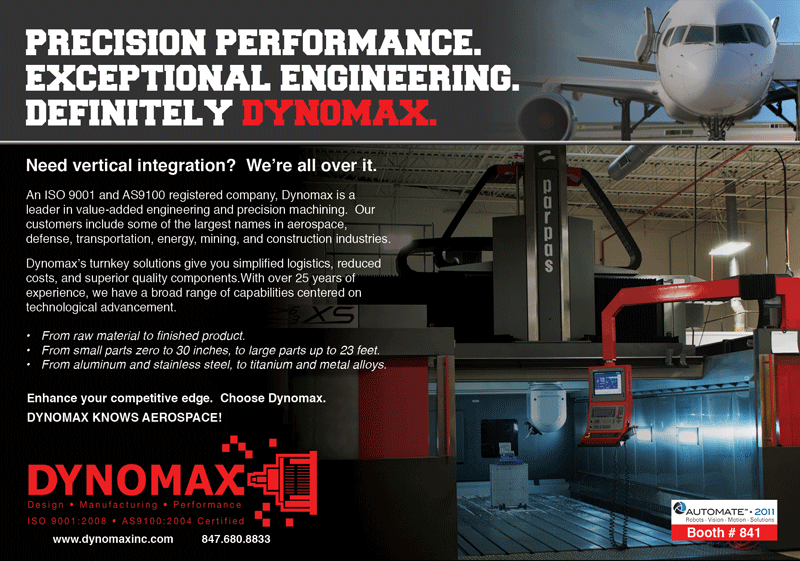 When Innovation and Performance Counts… …Count on Dynomax Inc. In the medical device industry, performance is critical – whether it’s connectors for diagnostic machines or components for life-saving implants. Need vertical integration? We're all over it. 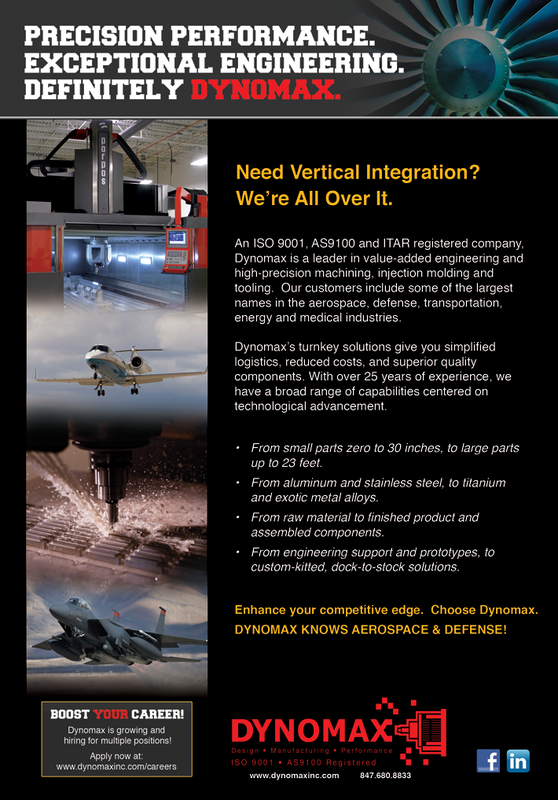 An ISO 9001, AS9100 and ITAR registered company, Dynomax is a leader in value-added engineering and high-precision machining, injection molding and tooling. Our customers include some of the largest names in the aerospace, defense, transportation, energy and medical industries. Soar With Us We're Taking Off! 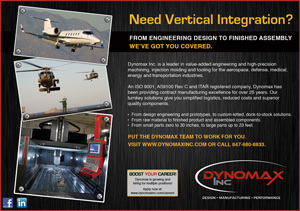 Boost Your Career at Dynomax! 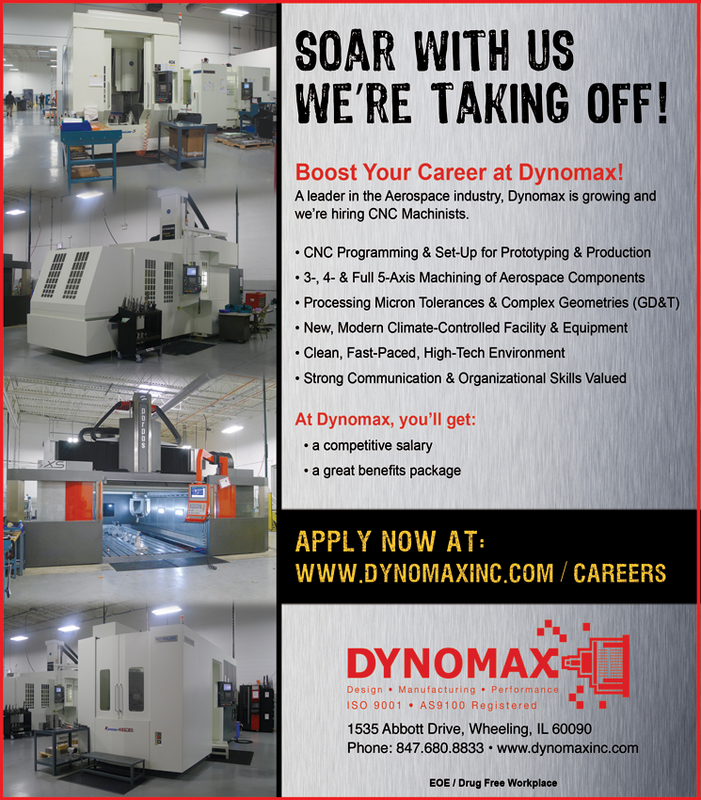 A leader in the Aerospace industry, Dynomax is growing and we're hiring CNC Machinists. Need vertical integration? We're all over it. Dynomax's turnkey solutions give you simplified logistics, reduced costs, and superior quality components. With over 25 years of experience, we have a broad range of capabilities centered on technological advancement. When your machines are down, productivity is down. And so is profit. 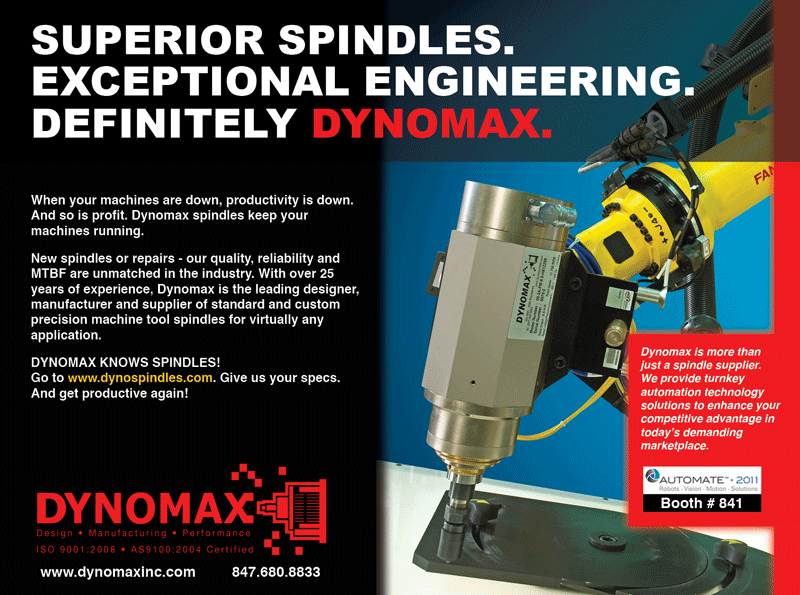 Dynomax spindles keep your machines running. New spindles or repairs - our quality, reliability and MTBF are unmatched in the industry. 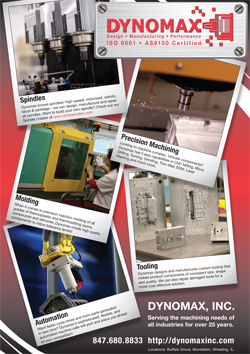 Dynomax's strong reputation has been built on providing our customers with integrated precision manufacturing solutions. Dynomax's customers include some of the largest names in the aerospace, transportation, energy and biomedical industries. Click here to view the larger version.